The Crusade of 1101 surely has a permanent place in the Crusades Hall of Infamy. The three bodies that set out from Constantinople, split up instead of combining forces because of petty resentments and rivalry, and as a result none of the three ever made it out of Turkey. Out of literally many thousands of pilgrims, from noble knights to men at arms to clerics and the largest group, peasants with their entire families, fewer than about 150 escaped massacre or enslavement. Those who did survive were all leaders and their household knights. 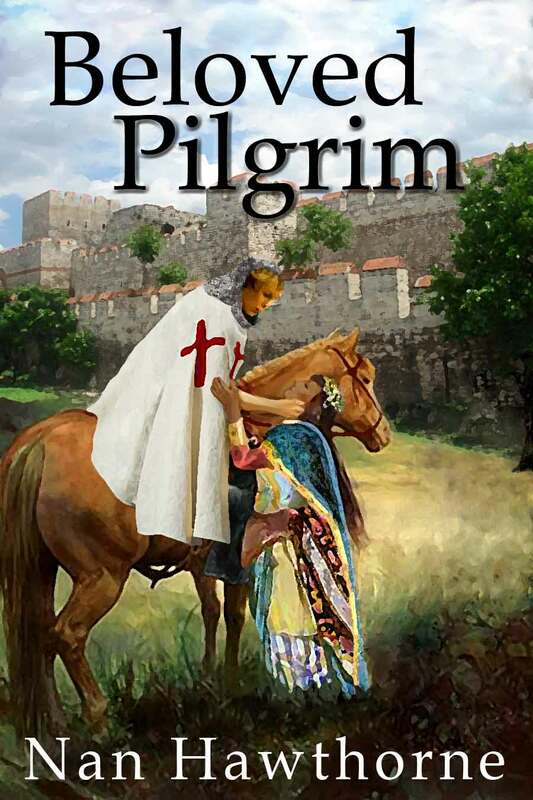 Such a shamefully dramatic story was tempting fodder for a historical novel, and the fact that there are no eyewitness accounts made it all the more tempting, and that is why I set my novel Beloved Pilgrim at the Crusade of 1101. Of course, I wanted to know just what happened to these weasel-y fellows who left their foot soldiers, clergy and peasants to the slaughter. 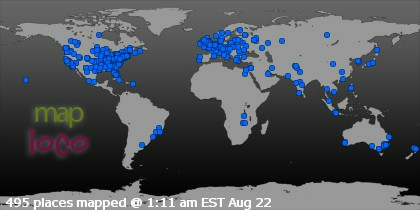 This is what I found out about some of them. 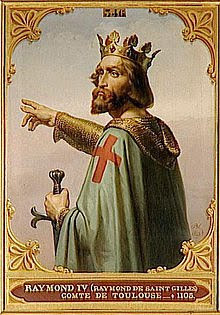 The hero of the First Crusade, Count Raymond IV of Toulouse, was the Byzantine emperor’s choice to lead the first of the three bodies of crusaders. Outnumbered by the Lombard contingent that was loyal to his archenemy, Bohemond, he was forced to turn north and east to where the man was said to be imprisoned by the Danishmend. Perhaps that is why he was so ready to sneak away when it was obvious that Kilij Arslan, the Seljuk general, would win Merzifon Plain that day. Toulouse literally slipped away in the dark. He was welcomed with opulent gifts when he reached Constantinople in spite of the dismal end to his quest. However, when he landed in Antioch, Tancred, nephew of Bohemond, had him arrested and imprisoned for his cowardly desertion. He was not jailed long, but lived just a few years longer before succumbing to a fever. Stephen of Blois, the father of the future King of England of the same name, had run from the siege of Antioch, and was said to be barred by his wife, Adela, from their home until he turned right around and went back to the Holy Land. He survived the Battle of Merzifon, but later died fighting valiantly in the Battle of Ramleh. At that same battle the Constable of the Holy Roman Empire Henry IV, Conrad, fought so valiantly, though he too had turned tail and run from Merzifon, that the Saracens treated him with honor at his surrender. They let him and his forces live, though made slaves. The redoubtable Conrad himself disappeared into slavery in Egypt, never to be heard from again. Perhaps the most sensational story is that of the Margravine Ida of Austria. She was part of the third wave of William II of Nevers. While William escaped with a handful of his household, Ida was not so lucky. Though there were legends that she went on to be married to a great Turkish leader and the mother of the even more legendary Zenga, there is no basis for this story. It is far more likely that she was tipped out of her elegant litter and trampled to death in the massacre at Herakleia. 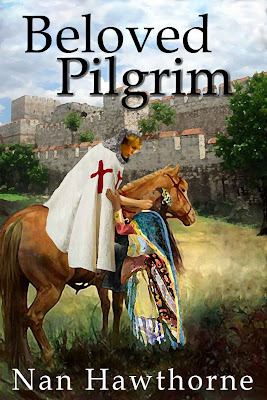 Nan Hawthorne is the author of Beloved Pilgrim, a novel of a woman who chooses to live and fight as a man during the doomed Crusade of 1101. You can find the novel at Amazon.com and Smashwords.com. Susan, thanks so much for sharing this with your fans!